This weekend was cooler and I swear I could smell fall in the air. And, the leaves were blowing through the air! I have a love/hate relationship with that season. I love the cool and crisp air, apples and fall activities. But, knowing winter is on the way bums me out! 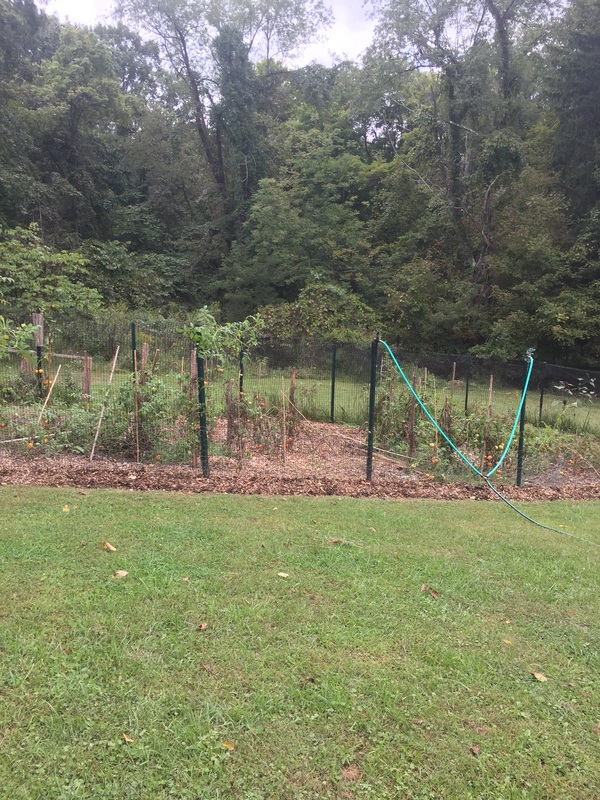 I started off by spending at least 6 hours pulling weeds, putting down newspaper and putting mulch on top. So much work, and I have 3 more sides, but it’s looking so much better! 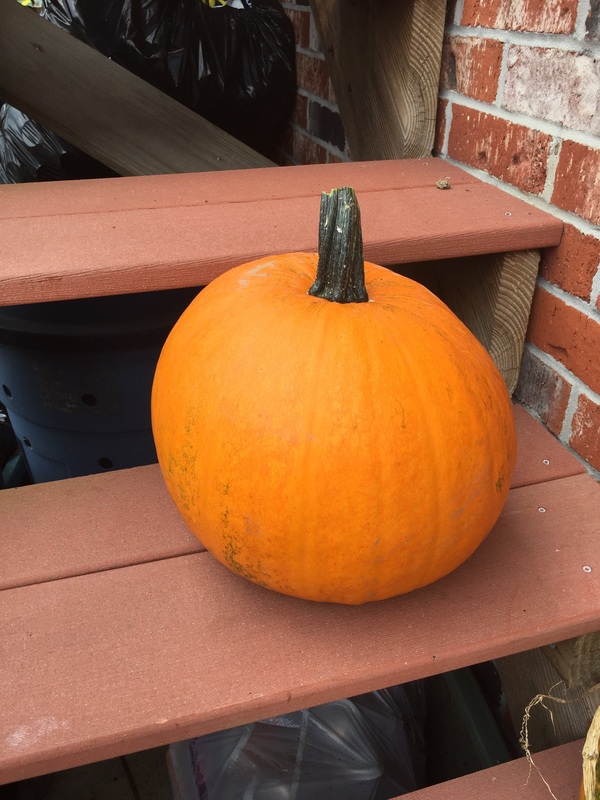 I harvested another pumpkin, and I love the shape of this one! This one has potential for being chosen as the carved pumpkin. I like having lots of extras because the chickens love pumpkins and they especially love them when it’s cold outside and it’s something different. 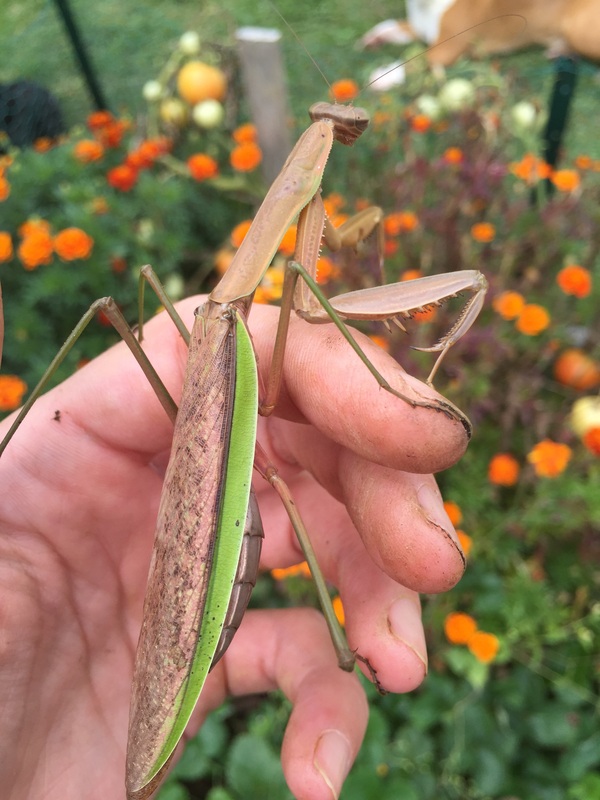 I found this praying mantis in the garden. It was a big one for sure! Don’t worry, it went right back to where it was captured! 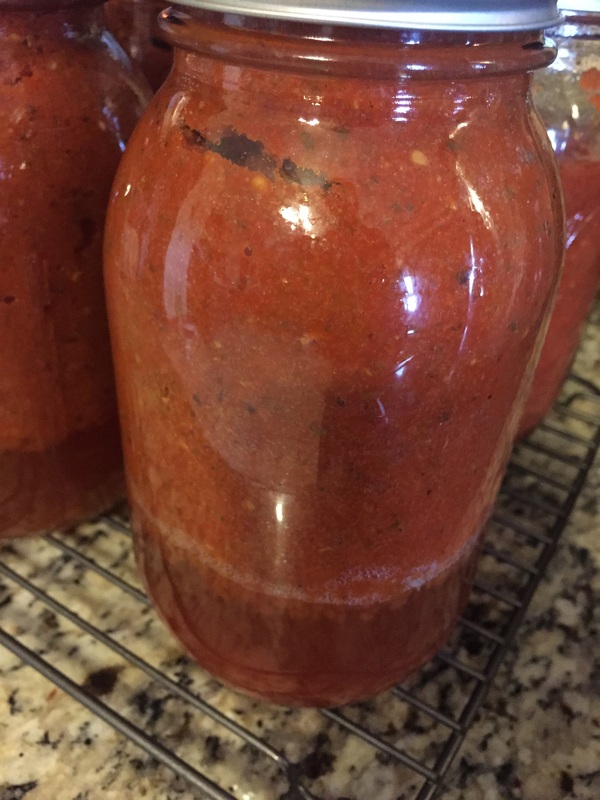 I took the last of the tomatoes and turned them into spaghetti sauce. This will taste so much better in winter instead of the store stuff! We are huge weekend warriors here on our tiny homestead! It was a great weekend!! 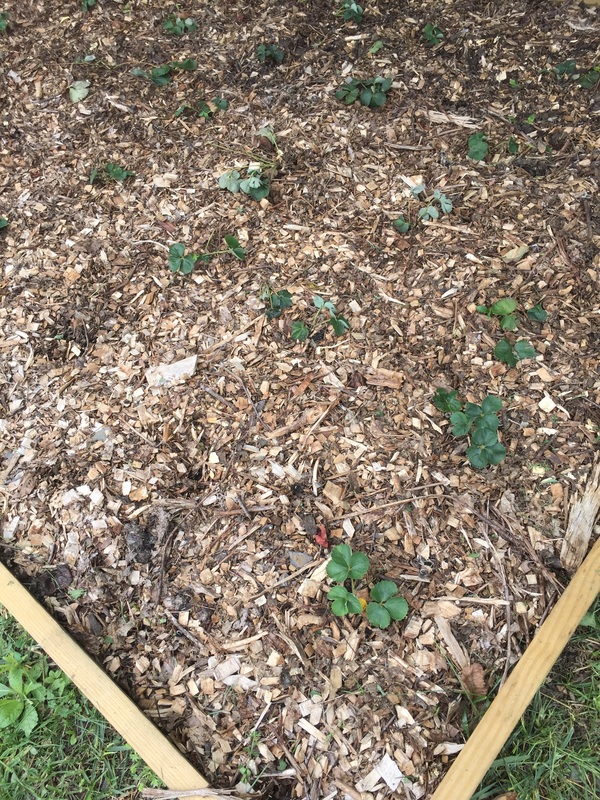 And these strawberries are June bearers, so hopefully lots of strawberries in June!! !